I missed posting a blog last night. The wireless router must not have had the bandwidth to handle all the people attempting to be online. It was impossible to stay online. A lot has happened since we left Ponferrada. Everyone has their own reason to walk the Camino de Santiago. There are those who are doing this for religious or spiritual reasons, some cultural, others because they’re having a milestone birthday or recently retired. The reasons are many and varied. 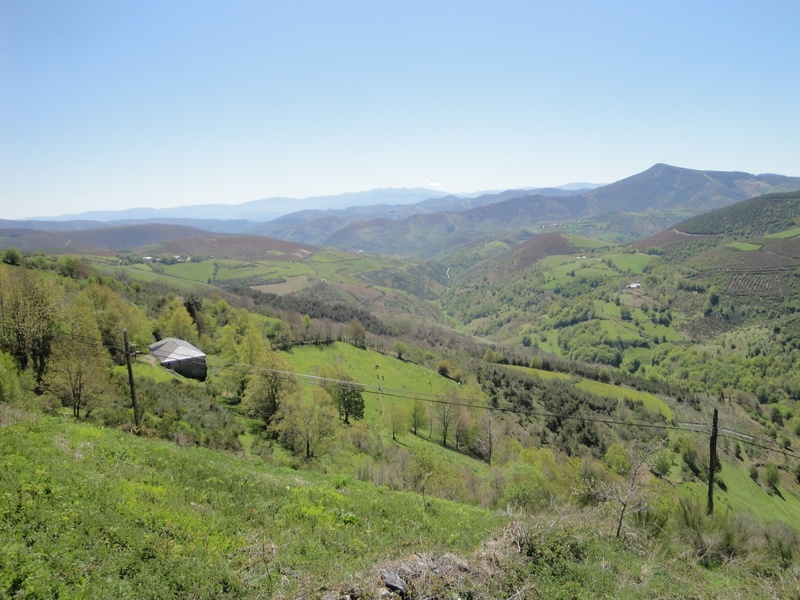 There are many who started their Camino at the traditional starting point in St. Jean Pied du Port on the French side of the Spanish/French border. Most start somewhere in Spain. There are also those who take a “purist” approach in that you must start in France, carry your backpack at all times and walk every step of the way, and make no prior sleeping arrangements. Not me. 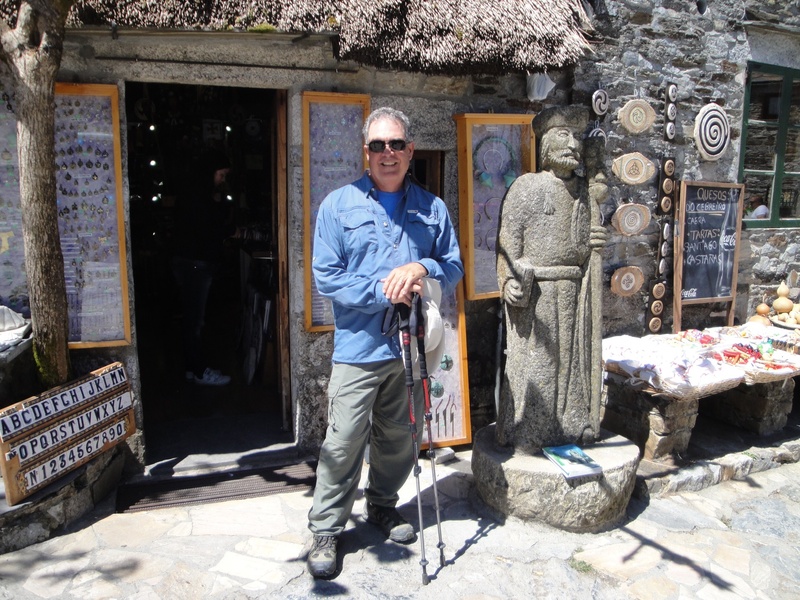 I subscribe to the notion that each of us must experience the Camino in their own way, preferably in a way that allows for the fullest, most meaningful memories for each individual. As I have mentioned in past blogs, the dynamics are completely different of traveling alone (and whether you’re male or female), if you’re traveling with your spouse, child or both. We started the Camino as “purists” at least “purists” starting in Burgos and not St Jean Pied du Port. Our 1st three nights were in alberques and taking available beds that are co-ed dormitory style. This approach, which is undertaken by most of the pilgrims, leaves precious little privacy, and opens one to a symphony of world class, teeth rattling snorers. It is not a myth. The community style meals also creates a “big family” style gathering in which you may sit next to almost anyone from any nationality in the world. This is all good since nearly every pilgrim I’ve encountered, and being the flaming extravert that I am, I’ve encountered MANY pilgrims, all seem to have a friendly, open behavior. The Camino, seems to attract these type of people. With the high number of pilgrims currently walking the Camino and the fact that the closer one gets to Santiago the more difficult it becomes to find a bed if you arrive into a village in the late afternoon and the fact that I’m traveling with my wife and daughter and adopted Camino baby sister, Heike, my approach has changed from “purist” to “pragmatic.” Here’s what else I’ve learned. I don’t really like walking. Never did! 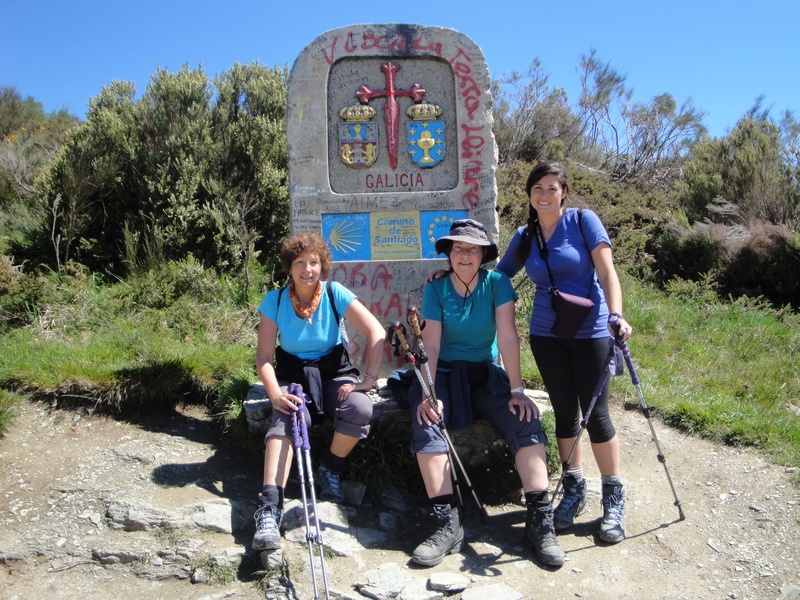 None of the reasons that motivated me to experience the Camino does not include walking. Here’s the reality of my disdain for walking any appreciable distance. I have extremely flat feet. Virtually no arch. At the end of each day of walking for hours, my feet are in real pain. They hurt and ache for hours. Miraculously, each morning, they feel normal again so I lace up my hiking boots and go walking again. So here’s my confession which for me speaks to pragmatism. 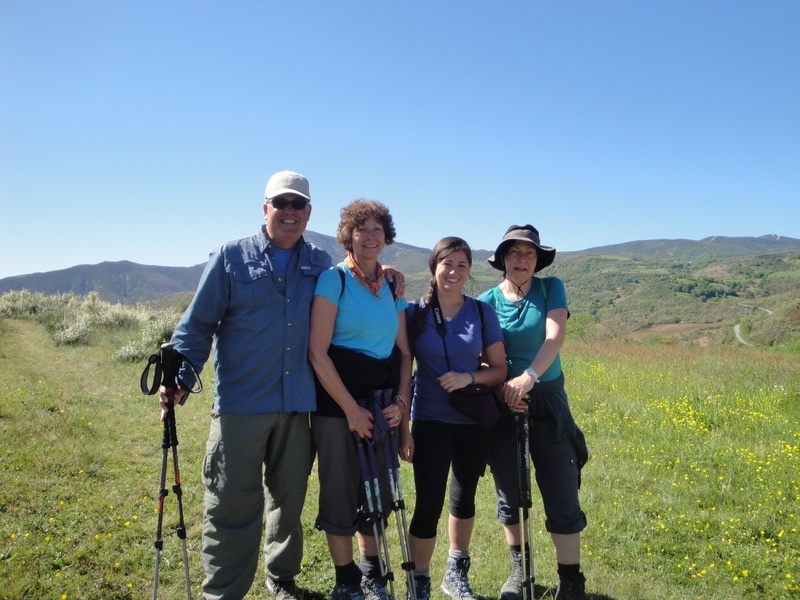 I’m looking at combining the best possibility of ensuring we have a place to stay each night, that none of us over exert ourselves so that we’re able to walk the Camino and finish in Santiago. Since Ponferrada we “broke” a few rules, We took the bus 23 kilometers to a small town that would allow us a 16 kilometer walk to a village that would set us up for a long 26 kilometer walk over a very steep climb and dramatic elevation gain to would lead us into Galicia. So yesterday, after our short bus ride we walked 16 kilometers and today 26. We’re now in Galicia! We feel like we’re on the home stretch! Tomorrow I should have more time to blog and to include new pictures. I’m typing literally in the dark since the common room with the wireless router is officially closed and I’m translating for a young Spaniard and a young English woman who are clearly interested in each other but neither speaks the other’s language. I will try to post some pictures I took of Galicia today. The views, I’m afraid, cannot be adequately expressed by my pictures. We made it safely to the very rural village of Fonfria. It was a very long walk, 9 hours including our rest time and we’re beat! Steep climb as we approach O’Cebreiro. Significant marker showing we are now in Galicai! The Galician countryside is very beautiful. I wish you could see the depth and expanse of this countryside. 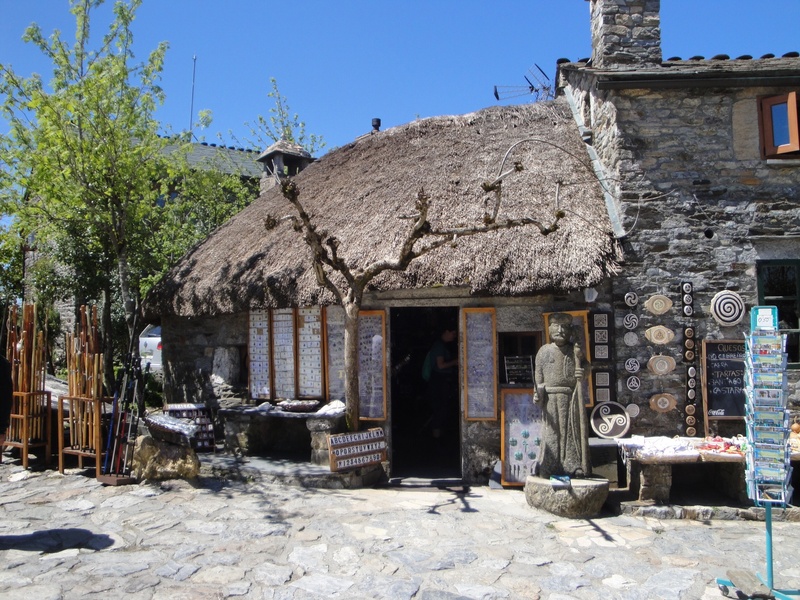 In the village of O’Cebreiro in Galicia. You and John will have to compare flat feet – I think his would be enviable by a duck! adelante hermano! siga—- que Espana te llama. Thanks, Bob! We’re now only about 93 kilometers from Santiago! We hope to arrive there this Sunday!